Many of us lead quiet lives of desperation. Longing for purpose, we look to the material world—jobs, money and belongings—to secure meaning for ourselves. Instead we only perpetuate the feeling that a full and significant life is beyond our grasp. You are not alone. 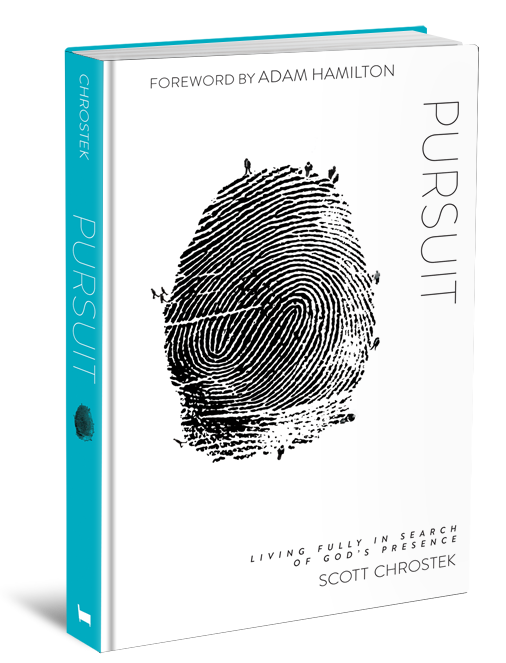 Through story and Scripture, author Scott Chrostek takes us on a pilgrimage to explore the true meaning and purpose of our existence. Pursuit challenges us to participate fully in God’s mission in the world. To do so, we live counter-intuitively—by committing everything we have to God and others, we actually reclaim our freedom and identity. Are you ready to find life? Let the pursuit begin.